Interested in funding a testing station or testing center? Learn how here. You can make a difference by funding testing stations, testing centers and actual tests. Local testing of solar cookers supports SCI’s goal of supporting local economies and building capacity. 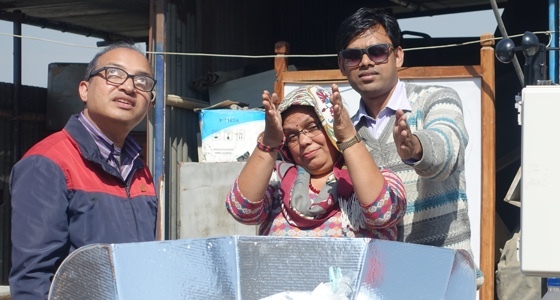 Local testing taps leaders’ expertise: knowledge of their culture, language, and foods, to identify the highest-quality, most durable solar cooking technologies for those regions. Your financial support can help open three new testing centers in Africa, Europe, and Latin America. Contact donor.relations@solarcookers.org to learn how you can fund an SCI testing station or center and support local economies today.